"Ulpotha offers the best all-round answer to unadulterated R 'n' R"
Ulpotha has an exciting programme of Ayurveda treatments and, by the very definition of ‘holistic’, possesses the ideal climate and environment for the practice of this deeply therapeutic and traditional healing art. (Please select which ones you would like on our booking form). All our Ayurveda treatments, regardless of the personalized elements of a treatment that stem from a personal consultation, contain preparatory and elimination therapies. 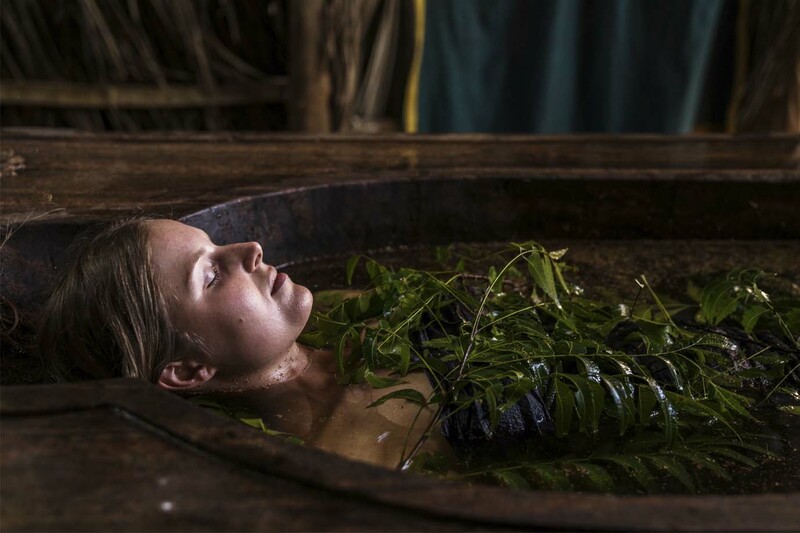 The preparatory therapies are the ones everyone likes and most Ayurveda is known for – massages, oil applications, steam baths, saunas and herbal baths. Elimination therapies on the other hand, are the ones that some people will find a little bit more challenging to accept. They consist of what is more commonly known as Panchakarma (ie. the five specialized elimination therapies): inhalation, purgation, emesis (vomiting), enemas and blood-letting. The latter three are not prescribed or performed in Ulpotha. If an Ayurveda treatment is short in length, say less than the 7-day Sanasuma programme, you will only have enough time for preparatory treatments that may include inhalation as an elimination therapy. If you have time for one that is longer, then you can also undergo purgation. However, the consultation is critical to determine which elimination therapies are required. For the treatments that are 10 days or less, you will receive treatments every day. Each day will consist of roughly one to two hours of treatments. Longer treatments will include rest days. Dr. Srilal Mudunkothge, an acclaimed Ayurveda practitioner of this ancient, holistic medical art, is our resident doctor. Dr Mudunkothge obtained his Bachelor’s Degree in Ayurvedic Medicine and Surgery and is registered as a general and specialist doctor with the Ayurvedic Medical Council of Sri Lanka. Apart from being a practising Ayurveda doctor with nearly two decades of experience, he is a qualified allopathic pharmacist registered with the Sri Lanka Medical Council. 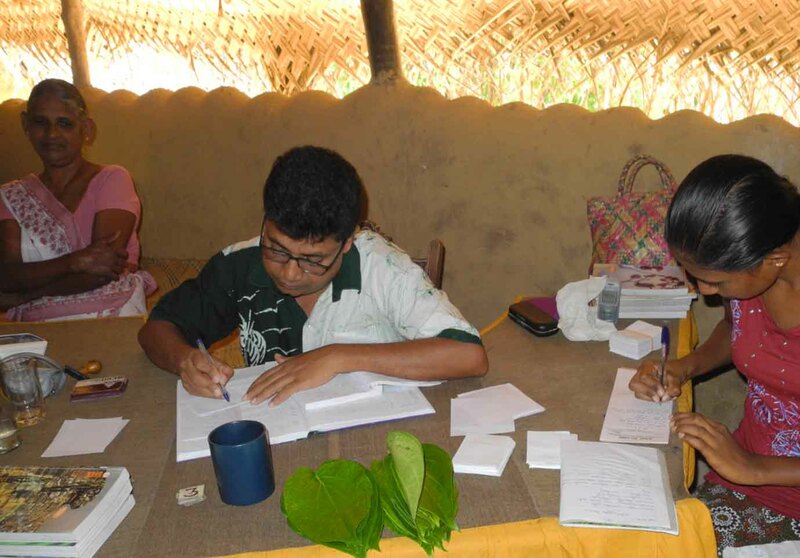 An Ayurveda clinic was established in August, 2005, to give Ayurveda treatments to local villagers free of charge. The clinic is funded entirely by the revenue generated by guests treatments. This initiative, which includes free Ayurveda medicines, takes us back to the traditional way Ayurveda was dispensed, where Ayurveda patients rarely if ever paid in cash for the Ayurveda care they received. Instead they would make a symbolic offering of betel leaves to the Ayurveda doctor at the time of consultation and make their own services in kind available to the Ayurveda doctor. As of the end of 2018, the clinic had received over 55,500 visits from 18,000 patients. Apart from the Ayurveda programmes at Ulpotha, two highly experienced international therapists are available at any one time to offer their magical treatments to guests. All guests who visit Ulpotha receive one free treatment from an Ulpotha therapist. If you desire to have more massages, these may be arranged at the rate of $80 per hour. You can find what particular therapists and their styles are available during your stay by going to the retreats page. 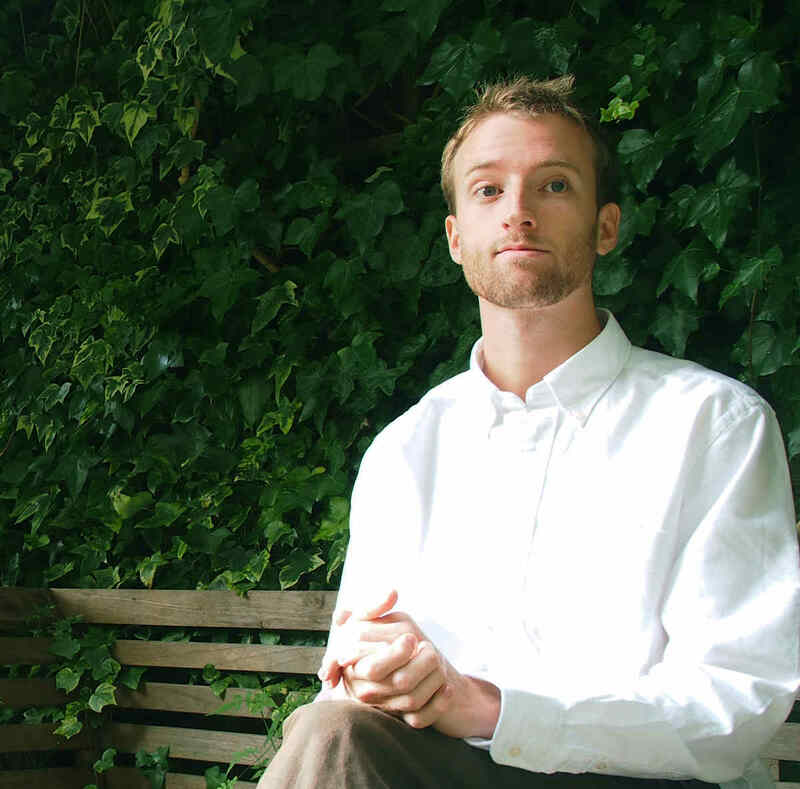 Alex has held a long-term love for meditation, qigong, and for exploring ways of connecting to our body’s natural wisdom. This eventually drew him towards helping others and learning natural healing. He gained a BSc. and license in acupuncture and tui-na massage in England and went on to advance training in both acupuncture and acupressure in Vietnam. He also draws from training in qigong, Thai massage, shiatsu and Mayan abdominal massage. Alex specializes in a unique form of Vietnamese facial reflexology, called Dien Chan. After many years of study with Dien Chan masters he has developed this therapy into a unique treatment that integrates a range of bodywork and healing techniques. 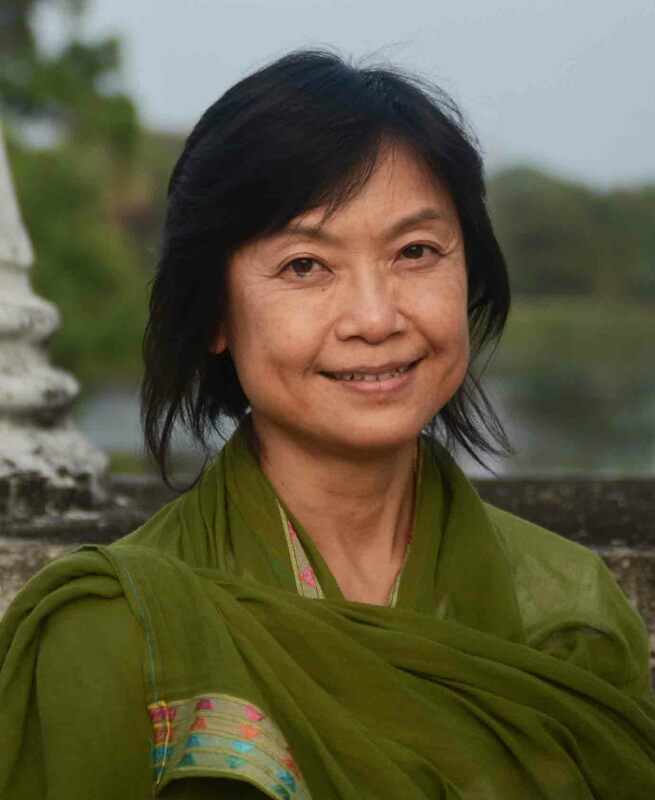 The face is deeply connected to many aspects of our health, Dien Chan specializes in mapping out these connections and harnessing them for healing and rejuvenation. Dien Chan is unique in that it has identified over 300 individual points on the face, all with specific actions on different aspects of the body and mind. Much of the physical, mental, and emotional stress that we carry, which negatively impacts all aspects of our health, is held in our face and our expression. Dien Chan treatments release this tension and stress from the head, neck and face, which then creates a positive cascade effect throughout the body. A number of massage tools have been specially designed to aid in this process. The effect is highly relaxing and rejuvenating. Dien Chan works on many layers- it soothes and balances the nervous system, helps harmonize hormones, reduces inflammation, boosts immunity and detox, and also can affect and release mental-emotional patterns. As such, treatments can benefit and assist in healing many illnesses, especially with people coping with stress and fatigue, sleeping issues, blood pressure imbalance, headaches and pain, poor digestion or hormonal imbalances. At Ulpotha Alex will be offering treatments that combine Dien Chan facial reflexology and healing massage in both 60 and 90 minute sessions. Acupuncture will also be available for those who wish. Alex was born, lives and works in London, and specializes in helping resolve stress and trauma. He has had years of experience teaching qigong and tea ceremony at Khiron House, a pioneering trauma centre in Oxfordshire. He is also a regular visiting practitioner for some of the world’s leading wellness centres and Spas, including Kamalaya in Thailand, Ananda in the Himalayas, the Mandarin Oriental Hong Kong and Nihi Sumba in Indonesia. Alex brings experience from many fields into his treatments, and is passionate about helping people towards optimum health and happiness. 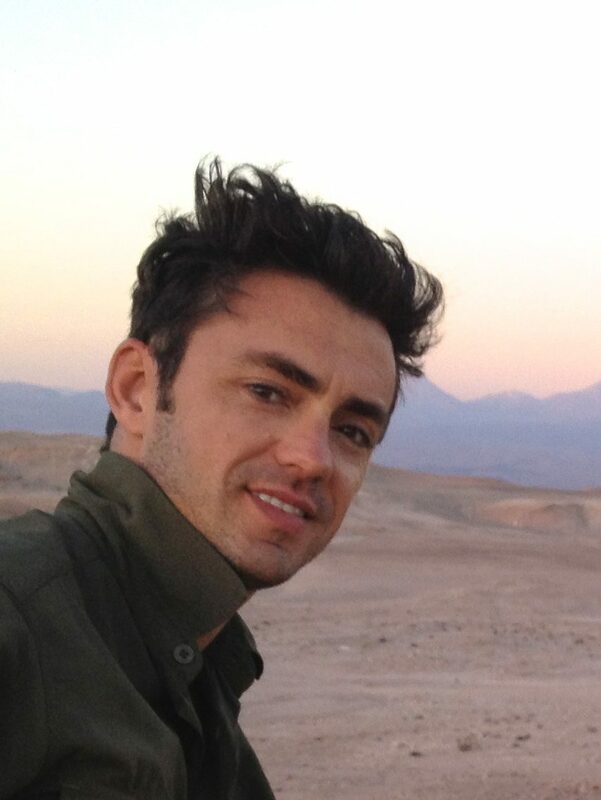 An international Healing Artist and Yoga Teacher, Andrew is multi-certified in Thai Massage, Esalen Massage and a Reconnective Healing Foundational Practitioner, as well as being an iRest Yoga Nidra Level II trained Teacher and a student of The Integrative Yoga Therapy 1000hr Yoga Therapist program,. He loves anything and everything having to do with helping people get back on the path of health, wholeness, and wellness as well as realigning themselves with and a realization of their true nature. Thai Yoga Massage / OsteoThai Massage: A non-oil remedial therapy that is based on your individual somatic needs combining elements of Thai Yoga like stretching and Soft Tissue Osteopathy to cleanse, strengthen and cultivate energy and healing. This massage allows greater fluidly and authentic movement, and meditatively blends rhythmic acupressure and the repositioning and release of connective tissue to deeply relax, revitalize and rejuvenate the body, mind & spirit. Holistic Therapeutic Massage: This Esalen inspired integrative oil based massage treatment consists of slow long strokes, rhythmic compressions, rocking and gentle stretches. The long stroke allows for the experience of the integrity and interconnectedness of your body as well as for a profound relaxation to unfold within the nervous system, and to act as an important support for stimulating the body’s natural healing rhythms. Intuitive Healing: Intuitive healing is a gentle non-invasive method of healing. Trauma, emotional and mental stress, false belief systems and blocks to personal growth can be stored in the energy fields of our bodies, impacting our ability to function at our full potential. These blocks obstruct the vital flows of energy through our body and energy systems that are necessary for our health and wellbeing. Over time this leads to illness and depleted mental and emotional reserves. 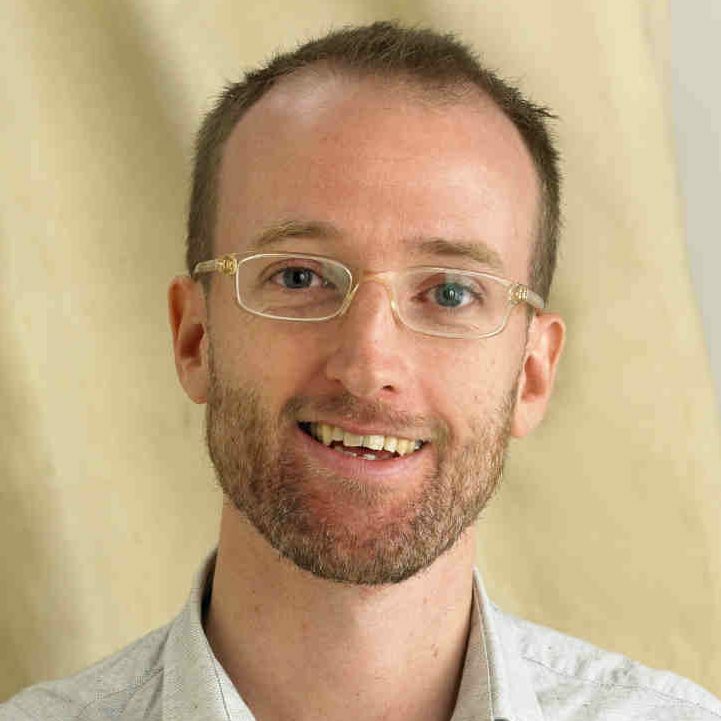 Andrew incorporates a variety of therapeutic techniques to clear, repair and rebalance the body’s physical, emotional and energetic systems. Boris is from Santiago, Chile, and first started practising Ashtanga Vinyasa Yoga in 2000. In 2002 he began training in different massage therapies, studying Ayurvedic massage in Mysore (India). He returned to India many more times to continue specializing in Ayurvedic massage and for additional Yoga training. His love of bodywork led him to later study different massage techniques across the world including Chuaka and Body Harmony in Santiago (Chile), Sports Massage in Atlanta (USA), Traditional Thai and Thai Oil Massage in Chiang Mai (Thailand). With this extensive background, Boris has developed his own intuitive massage technique which unlocks one’s energies through a physical therapy acting on the skeletal structure, muscle and tissue. The result is to liberate fears and burdens that are held inside the physical body, allowing it to recover its natural flexibility and resulting in pain relief and relaxation. Carita has been working with the body (physically, emotionally and spiritually) for more than 20 years. She began her career as a Personal Trainer and Group Fitness Instructor but always had the belief that we are more than our physical body. Carita is currently a Facilitator of Ka Huna Massage and Bodywork at High Spirits Retreat in Queensland Australia and runs Heartworks Lomi Lomi workshops and wellbeing retreats. What she loves about Ka Huna bodywork is the different layers that it can get into. When our physical body relaxes with the long flowing strokes of the massage, it allows us to sink into more clarity and tranquility bringing everything back into balance and harmony. Carita works with your needs and intention in mind. She combines the feminine touch of flow and nurturing with the masculine focus of deep tissue work to alleviate any pain, stress and discomfort to bring more freedom in your entire being. Whether you wish to gain relief from a physical condition or simply to relax and to nurture yourself, Carita will work with you with aloha and to the best of her knowledge and abilities to gain the desired results. Her passion for Ka Huna Bodywork and sense of adventure has given her opportunities to work in France, at The Fours Seasons Resorts in Bali and The Spa at The American Club in Singapore. Carita is also a Power Yoga Teacher, holds a Cert IV in Life Coaching, and incorporates Thai Yoga Massage, CranioSacral Therapy and Reiki in her treatments. Daniel Matallana is a Colombian philosopher, dance psychotherapist and intuitive healer. He has received teachings from great spiritual masters of Europe, Asia and Latin America. He holds a masters degree in Movement Psychotherapy from Goldsmiths University of London and is a certified International Yoga Alliance instructor. 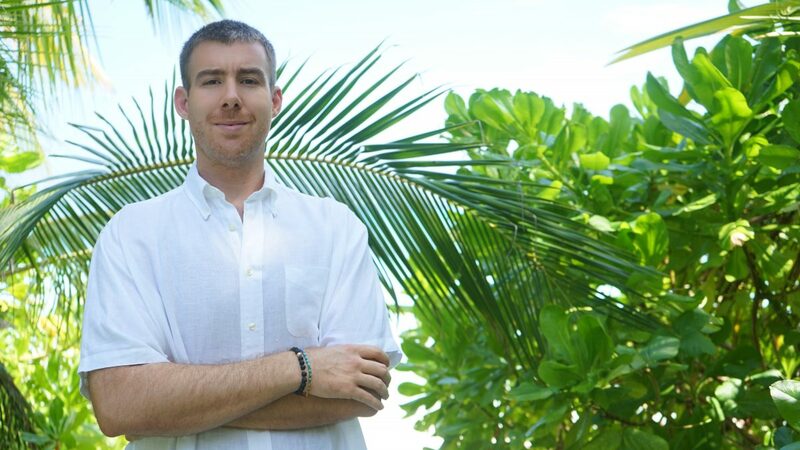 With 10 years of experience in holistic health and education, Daniel has also been trained to guide meditation by Buddhist monks and been certified as a massage therapist by Thailand’s Ministry of Public Health. He’s the founder of the Self-Love Project, an online platform for mindfulness and healing. Daniel is currently based in Qatar, where he works at The Mind Institute, a holistic centre for children with special needs. Daniel tailors his treatments to suit each client’s needs integrating Thai-Yoga massage, Reiki, Reflexology, Deep Tissue and sound for a deeply healing experience. You will leave feeling both relaxed and recharged. Originally from the UK now loving and living in Queensland, Australia, Deborah is a highly qualified level 7 Ka Huna massage therapist and facilitator. In the 1990’s and with a young family, Deborah trained as an Aromatherapist at Shirley Price International College and also as Swedish massage therapist in the UK. She then went onto become a Registered Nurse and spent many years specialising as a community Palliative care nurse working with both paediatrics and adults with life-limiting illnesses. More recently and after several life changing opportunities, she has left her career in nursing to pursue a renewed passion for massage and bodywork. 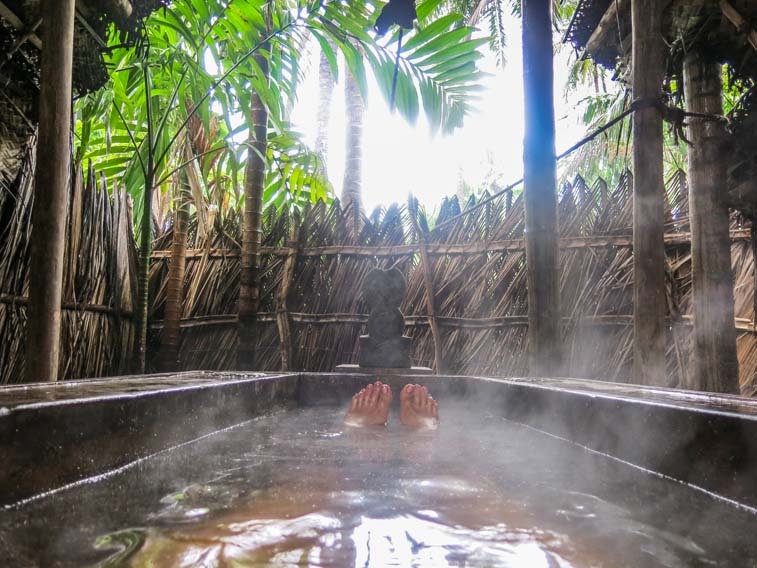 It was over 3 years ago that she discovered the healing and transformative art of Lomi Lomi and Ka Huna Temple Style massage and hasn’t looked back. Ka Huna, which originated in the South Pacific in ancient times translates to ‘Secret Knowledge’. 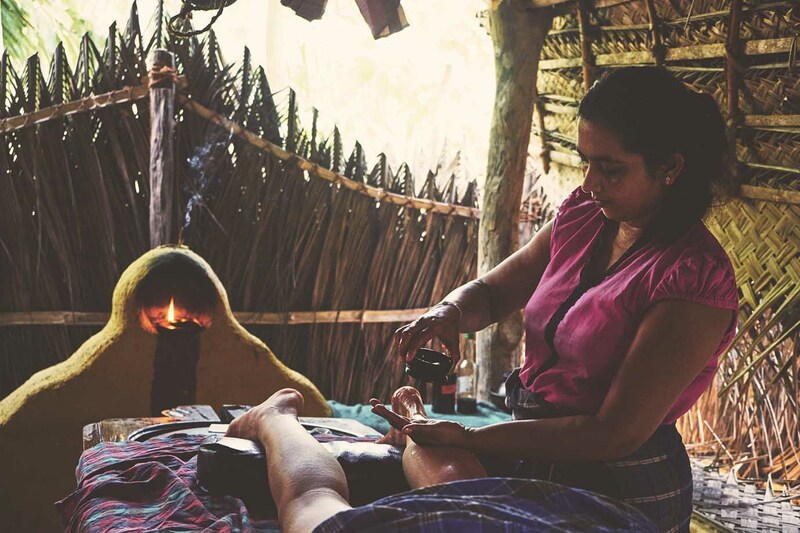 It was administered by master practitioners, the Ka Hunas, the Shamans, in transformational phases in people’s lives as a rites of passage for spiritual and deep healing, having the ability to heal, balance and transform the body, the mind and the spirit. Deborah’s intuitive ability to tune into clients’ needs and support them through their unique individual process is extremely humbling. To specially selected music as an accompaniment, she uses rhythmical strokes up, down, over and under the body using her arms, forearms, hands and elbows allowing relaxation and a trance like state. Her ability to work with the body’s energy can sometimes have a profound effect. Her massages are balancing, calming and nurturing, allowing the recipient to surrender, to be held in a safe environment and sink into the moment while also providing muscle release, alleviate tension and discomfort held by the body. 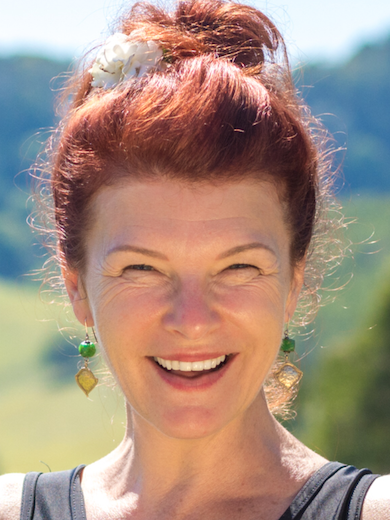 Deborah works from her home clinic Fivelements in Noosa, Australia, is a member of the facilitation team teaching Ka Huna and at Mette’s institute, High Spirits in Queensland, supporting students to learn this beautiful form of Bodywork. Living by her core values, Deborah believes that relationships, connection with others and making a difference in the world are in full alignment with her passion for bodywork. For several years she has supported and co-facilitated transformational and empowering growth workshops for women. She is trained in Hatha yoga and has recently created a bonding mother and daughter retreat at her home clinic. She also co-facilitates Heartworks Lomi Lomi workshops along with her husband in both Australia and Europe. Deb continues to live life to its fullest with heartfelt love and passion and to support others in their personal journey. ALOHA. Ever since Eva was a young girl, growing up in Germany, she was always passionate about movement and dancing. Not just with her body but her whole spirit. Through her love of helping people to heal themselves she completed all 7 levels of Ka Huna massage and bodywork training at High Spirits Institute in Australia. 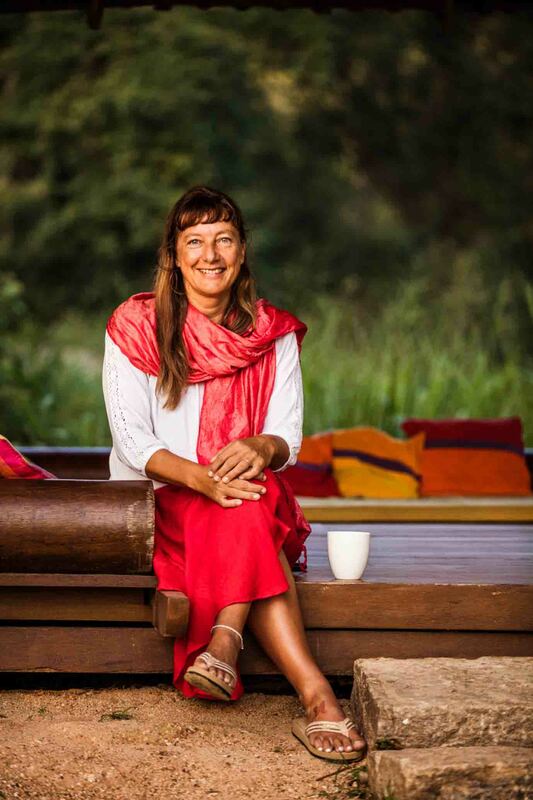 She has been working as a Ka Huna body worker for 7 years and has established a massage space in Lismore, Australia, as well as a massage sanctuary at her own home in the Australian bush. She also trained as a facilitator to teach Lomi Lomi massages. Ka Huna massage is not just an ordinary massage but an experience that leaves the body, mind and spirit feeling whole and connected, energised and at the same time deeply relaxed. It’s a way of life! Eva uses organic coconut oil and massages with long flowing strokes using her hands and forearms, sometimes underneath and on top of the body at the same time while she moves with dance like steps around the massage table. 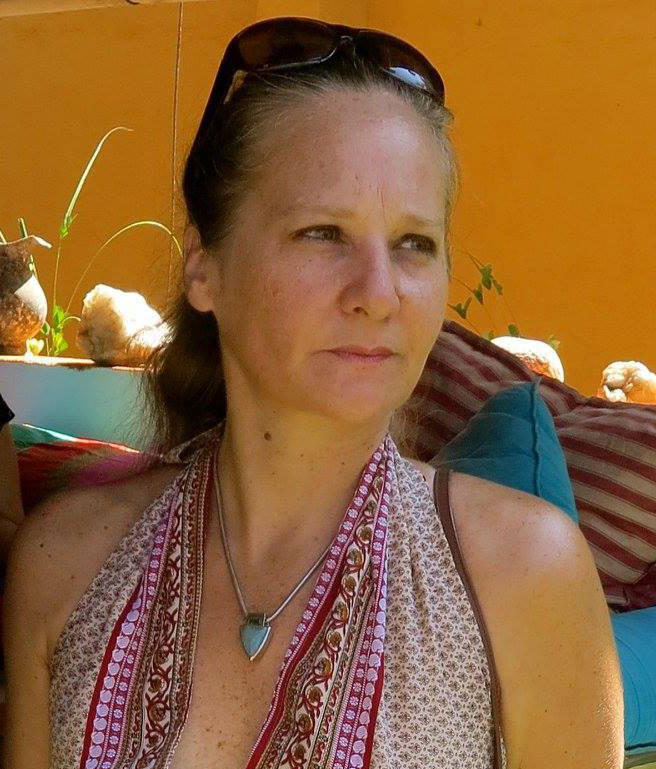 Ka Huna massage comes from the Shamanic tradition and Eva combines that wisdom with her open heart and intuitive grounded presence. She adopts her massage style to your needs and can offer deep tissue, gentle nourishing Lomi Lomi, pregnancy or a special bone massage which reaches very deep spaces in the body. Eva is also trained to allow for emotional release work while giving Ka Huna massage treatments. She provides a safe space for you to shift and become the person you love to be. 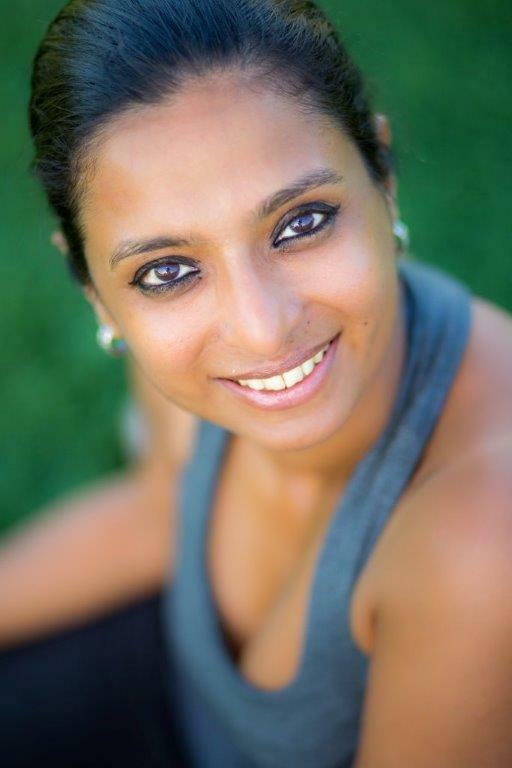 Samanta Duggal has been immersed in Yoga, Bodywork and Movement therapy since 2003. Her regular Thai massage studies with the Sunshine network have led her to assist courses by Itzhak Helman in Thailand and India and perfect the treatment of movement dysfunction through Thai massage and additional nerve-touch techniques with Jack Chaya in Chiang Mai. She learnt Thai Osteo work with Arno, Craniosacral Biodynamics with Rosemary Wallace and Reflexology at Wat po in Bangkok. Added to this, her Face and Neck massage therapies include Ayurvedic techniques studied in Kerala. Her treatments are a unique and integrated combination of the above. Samanta has also mastered the art of Chi Nei Tsang or Abdominal chi massage. This detoxifies and works on the organs in the abdominal and thoracic cavity, it corrects posture and offers emotional release while relieving muscular tension in the organs and psoas. In combination with the above treatments Samanta offers Tibetan Singing Bowl sound therapy for special additional chakra balancing. She is an ex-Bollywood dancer and teaches yoga and Thai massage in Mumbai and on retreats around the world. 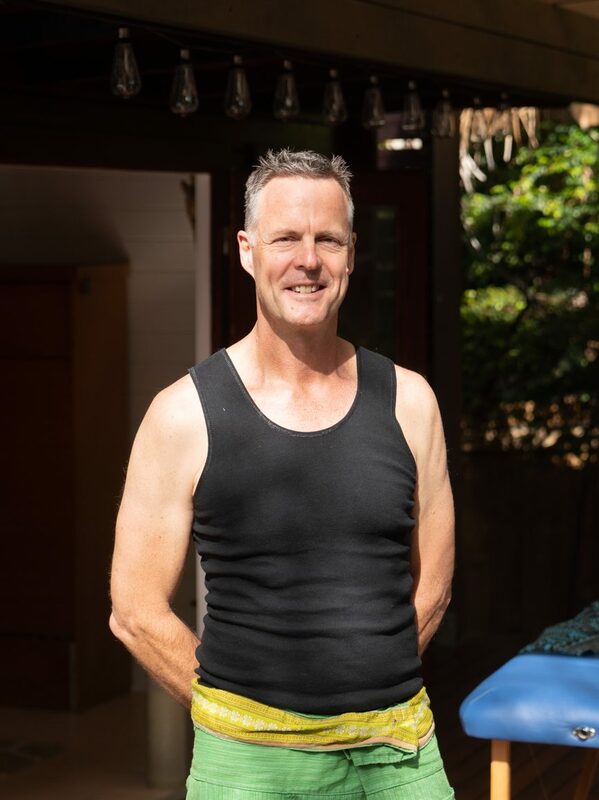 Jon Fellman began his career in healthcare over 30 years ago as a trainer at a health club after rehabilitating himself following a very serious car accident at the age of 16. This led him to Chinese martial arts, Yoga, and eventually Acupuncture and Chinese herbal medicine… first to be treated; and then to undertake his own study. He has been treating patients with bodywork since 1993, and has been working as a doctor of Traditional Chinese Medicine after completing his four-year Master of Science degree in traditional Chinese medicine in 2001 at the Academy of Chinese Culture and Health Science in Oakland, CA. In his clinical practice based in California, he is most apt to use the unique acupuncture styles of Dr. Richard Tan and Master Tung, readily incorporating applied meridian theory, trigger point acupuncture, bodywork, joint mobilizations/manipulations, cupping, guasha, Japanese moxibustion techniques, and Tok Sen into his treatments. His bodywork is most influenced by Thai Massage, Tui Na, and Shiatsu. He has spent considerable time in China and Thailand studying with Taoist master Wang Liping, and several Thai Massage masters including Pichest Boonethume. 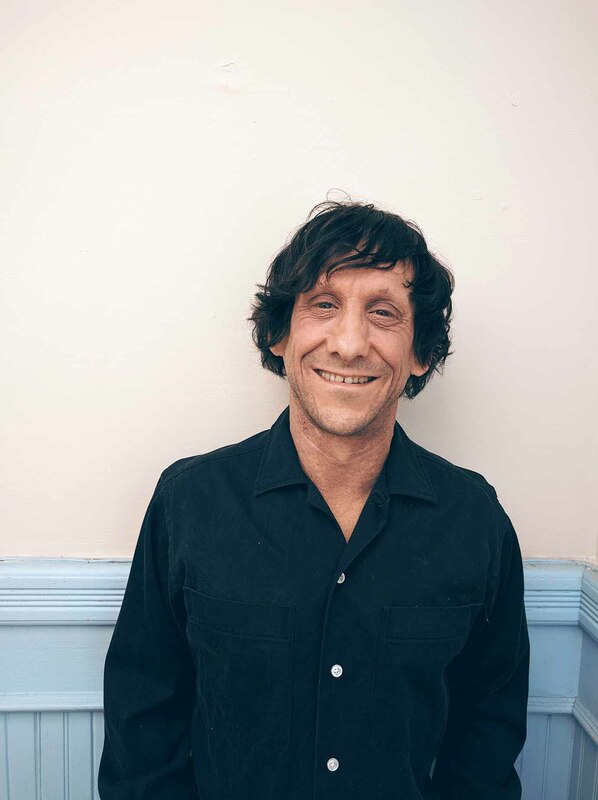 Jon specializes in acupuncture orthopedics, and has worked with many musicians, artists, dancers, yogis and athletes, but has a diverse patient base, regularly treating a wide array of conditions. In Ulpotha, Jon will be offering his Integrated Thai Bodywork that draws from Thai, Chinese and Japanese techniques as well as TCM theory. He will also offer complementary modalities such as Cupping, Tok Sen, and Guasha. Acupuncture can also be requested and can be utilized in combination with the massage and other techniques, or as a standalone treatment. Pi Jem is one of Thailand’s ‘amazing gems’ – a very skilled traditional Thai massage therapist who trained with many of the great Thai masters and now teaches worldwide. DEEP TISSUE THAI MASSAGE: Traditional Thai massage aims to relieve pain in muscles and joints through deep massage and stretching. Traditional Thai massage is usually performed on the floor, and you will be fully clothed, wearing comfortable clothes that allow for movement. No oils are used in Thai massage. Pi Jem’s particular style of Thai massage is a strong massage that is especially beneficial for those who practice yoga. It helps circulate the blood and energy around the body and open areas where there may be blocked energy or prana which can cause pain and/or stiffness. Her expertise will leave you feeling deeply relaxed and at peace, with a supple body relieved of pain. CHI NEI TSANG ABDOMINAL MASSAGE: Chi Nei Tsang is a traditional abdominal massage that works on harmonizing and balancing the internal and digestive systems. This ancient healing art from China focuses on stimulating the internal organs and flow of Qi. Emotions and stress get stored throughout our body in the form of tension in our muscle tissue and much like food, we also need to digest and release this tension. Chi Nei Tsang gently helps to process emotions leaving a feeling of deep calm and connectedness. Pi Jem brings her own unique style and compassion to this art. Many of us suffer pain related to menstruation and menopause often leading to headaches, back pain, digestion and abdominal discomfort and emotional swings. For thousands of years these problems have been addressed in Asian medicine mainly through bodywork. Reproductive Therapeutic Massage is non-intrusive and consists of gentle to strong pressure (within your tolerance) in the lower abdominal area and near the genital area. Of course the utmost care is taken to protect your privacy and ensure a safe and pleasant experience. Ian’s interest in massage and healing touch began in the 1990’s as a founding therapist in a Natural Health and Healing centre. In addition to building a niche client base, he offered his services to a government and community group working with clients with life limiting illnesses and their closest family members. After a break from hands on work, Ian’s passion was reignited 3 years ago when he was introduced to the traditional Hawaiian healing art of Kahuna Massage. His progression from the beginning levels to completing the formal learning, level 7, and becoming a member of the facilitation team at High Spirits (Mette Institute Australia), was driven with commitment and passion combining well with his previous Swedish and remedial massage skills. 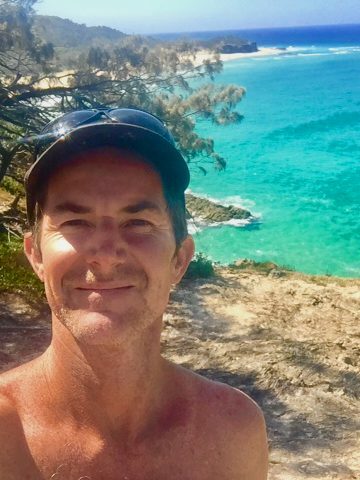 After practicing at the KaHuna Hub in Queensland, Ian now operates from the clinic Fivelements with his wife on the Sunshine Coast in Noosa, Australia. 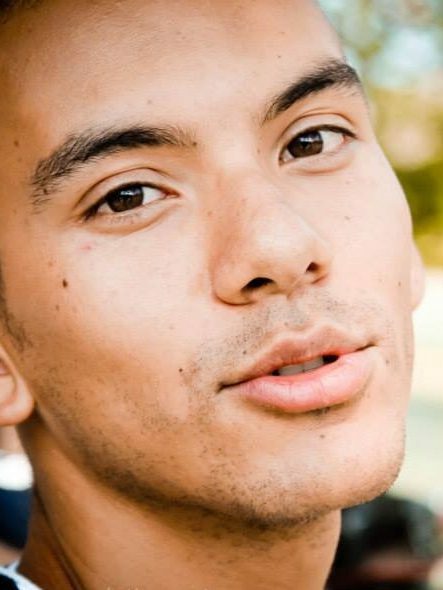 Ian also practices and facilitates Lomi Lomi, Lomi Lomi Heartworks for couples and Polynesian floor work. Both Lomi Lomi and Polynesian floor work can be incorporated into a massage session as appropriate. 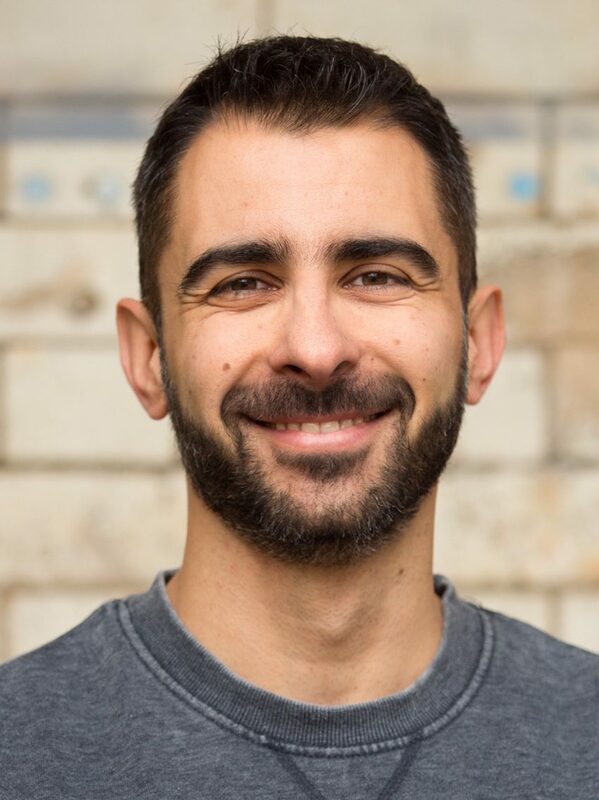 Ian has a genuine desire to connect with clients to gain an understanding of how best to support the individual and their needs at the beginning of a bodywork session. KaHuna Temple style massage is known for its long flowing strokes delivered with forearms, arms and hands above and below the body, often covering the entire length of the body in one stroke. This style is a nurturing, rhythmical experience, with no two massages being the same. Receivers can be transported to a place of surrender and deep blissful relaxation. A ritualistic rites of passage KaHuna massage experience can range from gently nurturing to deep and firm, offering physical balance, emotional release and an enhanced sense of spiritual harmony and connection. French born Sophie has been living in Sri Lanka for the past 23. After studying medicine in Paris she switched to physiotherapy and started on a journey that led her to explore all aspects of wellness. She now offers a spa consultation service throughout the island providing spa evaluation, therapist training, product selection, therapy menus, etc. Sophie’s treatments involve a relaxing mix of long strokes, pressure points and stretching movements where every muscle is worked. Her touch is gentle, soft, strong and deep allowing for deep relaxation and therapeutic release. She blends her own mixes of essential oils according to specific skin types and guests’ moods and states of mind. Shane lives & practices from the Byron Shire in Australia. A healer, a family man, a lover of surfing, adventure, wellbeing and all things nature based. A Transformative Healer with an integrative approach, using many modalities in a session, depending on what is presented in the body while using a deeply intuitive approach – every session is unique. Specialising in Pain Relief, Injuries – Acute and Chronic. Shane’s transformational treatments also provide support for the client’s health and wellbeing by providing education on dietary, supplements, Ayurvedic medicine, remedial stretches where needed, to follow on in their own self care practices. Alex is a wellness practitioner, dedicated to creating authentic experiences and developing environments that encourage holistic wellbeing. His journey into healing and bodywork had taken him to Thailand, Laos, Cambodia, Indonesia and Bhutan, where he learnt extensive number of therapies, successfully incorporated in his treatments. Alex is an affiliated Thai Massage and Reflexology teacher with TMC Massage school in Chiang Mai and regularly organises trainings and retreats in Europe and Asia. DETOX CHI MASSAGE: Holistic treatment, combining abdominal Chi massage, reflexology of the feet and acupressure points on the upper body. It aims to speed up the metabolic process, ease discomfort and improve the overall function of the digestive system. INTEGRATED BODYWORK: Combining deep tissue, sports and remedial techniques creates a holistic experience concerned not solely with unwinding soft tissue tensions, but also restoring the mind body integrity often lost through physical injuries, emotional traumas, and the stress of everyday life. THERAPEUTIC THAI MASSAGE: Using a combination of Northern and Southern Thai style techniques the guest is guided through series of assisted stretches, while working on the energy lines and pressure points to release any stagnant energies. Very effective for upper body musculoskeletal issues and stiffness. OSTHEO JOINTS ARTICULATION: Joint articulation uses slow circular 3D movements within the joints’ pain-free range of motion. Articulation techniques help increase synovial fluid, range of motion, quality of movement and can be also beneficial for pain relief. REFLEXOLOGY: Every energy meridian and organ of the body is reflected in the reflex points of the foot, therefore massaging and applying pressure to those points releases blocked energy and stimulates healing. This treatment is designed to maintain a balance by optimising the blood circulation and energy flow, strengthening the immune system and promoting wellbeing.